Many practitioners are interested in manufacturing herbal medicines themselves, but are unsure where to begin, and feel that it is too complicated. In this hands-on Workshop, Greg and Chris will demonstrate and explain different techniques for preparing herbal medicines for your clinic. This will include percolation and maceration methods, including suggestions on raw materials and equipment needed. The demonstration will be practical and be suitable for everyone from small single person home clinics to larger clinics with multiple practitioners. Most Naturopaths currently use herbal tinctures bought from a handful of large suppliers in Australia. Unfortunately these can lead practitioners to feel detached from the grass roots of our profession, and forget the independence that our practice enables. Many practitioners are interested in manufacturing herbal medicines themselves, but are unsure where to begin, and feel that it is too complicated. With their combined experience in manufacturing and evaluating herbal medicines, Greg and Chris will give a Workshop focusing on practical advice on how any practicing Naturopath can begin making herbal tinctures in their home or clinic. They will predominantly discuss percolation (column) and maceration (jar) techniques, with functioning equipment on hand extracting throughout the Summit. Greg and Chris will discuss acquisition of raw materials and equipment required to get you underway, and run you through the calculations necessary to use them. The techniques and knowledge gained here will work for a single operator home run clinic through to a larger multi-practitioner clinic. The practitioner could leave the summit wishing to manufacture a large number of herbal products, or just to specialise in one or two very high quality products that you and your patients will learn to love! Greg was born in Sydney in 1946, but has spent most of his life elsewhere. After growing up in Canberra he travelled and resided in various parts of Australia and North America. In 1969 while living on a commune in northern California he rescued some old agricultural pamphlets from a bonfire and found among them one entitled “Drying Crude Drugs” published in 1921. Well it actually turned out to be all about drying medicinal herbs and later proved to be a valuable resource when some years later he began growing and drying a few (legal) herbs. The results were very encouraging and growing herbs became the main focus of his life. 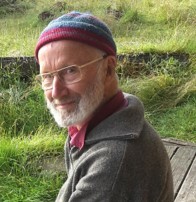 He has written a book, Herbal Harvest, on growing herbs, and since 2006 has been involved in Goulds Natural Medicine in Hobart Tasmania, an apothecary, clinic and herb farm where many herbs and tinctures are grown and prepared.